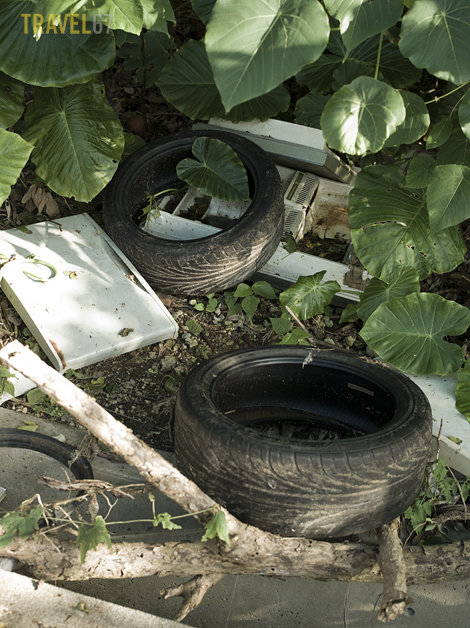 In Okinawa, you have to pay a small fee for the disposal of trash. You must buy specially marked bags for your regular household waste, and buy special labels to stick on larger items such as washing machines, televisions, or refrigerators. Upgraded to digital? Send your old TV to relax by the beach. The rubber left the road. Sounds like much the same system as here (though you can use any transparent bags and don’t need to buy special ones). I guess there’s less space to “forget” large-size trash somewhere in a dense city, and stuff that does get left out will be scrounged up pretty quickly. That is so sad to see. Here in Southern California we have free cleanup days where you can bring your electronics for recycling. Also we have a seperate recycling bin that get’s set out every other week for paper, and some plastic items. I’m surprised that more places don’t have recycling programs in effect. 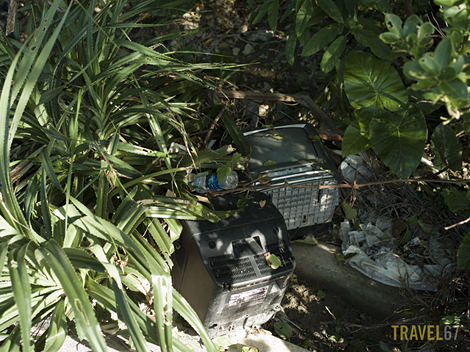 Of course there are still people around here that like to dump their items off in odd places beside the road. I guess some people don’t get the concept of keeping a clean environment. Same here in Hokkaido – Instead of paying for the bags they prefer throwing it near the highway, woods and even parks, no difference in all Japan : from Far north Hokkaido to south Okinawa . Spread the word, lets embarrass those people who destroy nature ! 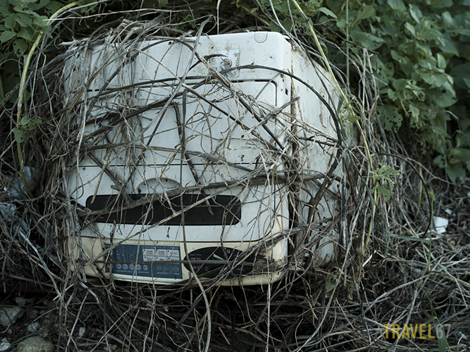 It’s much the same here in rural Gloucestershire, you can never be sure what you’ll find dumped in hedgerows. I can’t understand it as we have plenty of free recycling centres.